AFP Consulting, LLC - Jock Tax Professionals | What Business Expenses Qualify as Tax Deductions for Professional Athletes? What Business Expenses Qualify as Tax Deductions for Professional Athletes? Over the past several years high profile athletes have made the news regarding their use of business related tax deductions. In 2010, former NBA star Lamar Odom sued the Internal Revenue Service because it disallowed his tax deductions for fines and conditioning expenses, while last year Kevin Durant sued his tax accountant for professional negligence for deducting expenses for both person expenses which were claimed on his tax return. Odom and Durant are high profile employees in a multi-billion dollar sports industry. Playing sports is their business, and they are entitled to certain tax deductions for their business expenses. However, the issue of what kinds of expenses constitute tax deductible business expenses, under what circumstances and what their tax accountant’s responsibility are to their client in claiming these deduction has provided a hotbed for litigation between professional athletes claiming those deductions and the IRS. The topic of tax deductible business expenses for professional athletes is important for two reasons. First, with the substantial increase in the number of athletes that are performing services in the numerous professional sports leagues as well as in individual sports such as golf, tennis, track and field, swimming, and figure skating, it is important for athletes and their advisors to understand the opportunities afforded to them under the Internal Revenue Code to lower their potential tax burden. Second, the Internal Revenue Code gives little guidance regarding specific tax deductible business expenses for various professions. It is critical to understand what expenses are “ordinary” and “necessary”—as defined by U.S. tax law—in carrying out the business of professional sports so as to provide the proper guidance on tax deductible business expenses to this growing population of taxpayers. The Internal Revenue Code under Sec. 162(a) entitles taxpayers to deduct trade or business expenses they pay or incur during the taxable year, so long as the expenses are “ordinary” and “necessary” in carrying out a trade or business. For professional athletes, playing professional sports is a business. They are thus entitled to deduct the expenses they incur that are “ordinary” and “necessary” in carrying out the business of playing professional sports. If a professional athlete can establish, then, that an expense they paid or incurred during the tax year was related to the business of playing professional sports, that it is common, accepted, helpful and appropriate in that business, and that the amount is reasonable, they may be entitled to a trade or business deduction under Section 162. In addition to determining whether business expenses are ordinary and necessary, special consideration must be given to the substantiation rules. The substantiation rules require taxpayers to properly establish that certain expenses are ordinary and necessary business expenses and that they were paid or incurred during the taxable year. Taxpayers may thus be called upon to properly substantiate the amount and purpose of their business expenses, that they are ordinary and necessary, and that they were paid or incurred during the taxable year. The regulation suggests, as one method of proof, that the taxpayer maintain in sufficient detail a daily diary or record from which he can readily identify the amount and nature of each of his expenditures and that he keep supporting documents. The regulation concedes, however, that “it is often difficult for an employee to maintain detailed records or to preserve supporting documents for all his expenses” given “the nature of certain expenses or the circumstances under which they are incurred.” Therefore, detailed records of tips and other small expenditures incurred in traveling or for transportation will not be required and may be reasonably approximated for purposes of a deduction. 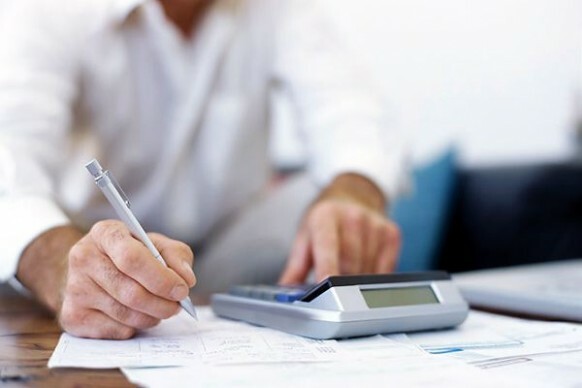 After defining what constitutes a deductible business expense the article specifically explores some of the more common expenses professional athletes incur and some of the special considerations that must be made in order to properly determine their deductibility as trade or business expenses under the I.R.C. In general, fees for agents, financial and tax advisors, as well as union dues are deductible as “ordinary” and “necessary” trade or business expenses under Section 162, and they are subject to the general substantiation requirements under Regulation Section 1.162-17. There is a distinguishable difference between fees paid to a personal trainer, whose job it’s to maintain or improve an athlete’s physical condition and that of a tip, which is paid to an equipment manager, physical trainer or masseuse that is an employee of the team in which the athlete plays. Both fees and tips paid are generally deductible under Section 162, and they are subject to the general substantiation requirements under Regulation Section 1.162-17. Tips however should be classified as a gift and under Section 274(b) is subjected to a $25 limitation. Expenses incurred by professional athletes in purchasing training equipment are deductible so long as they relate to an activity that the individual is undertaking in order to stay in “good physical condition” as required by his contract. If the expenses relate to an activity that is considered merely entertainment or recreational in nature, then they are personal and nondeductible. At this point in time, there is no clear cut answer to whether the IRS would allow a professional athlete to deduct the expense of nutritional supplements. At issue is whether it could be proven that the supplements qualify the athlete to play a professional sport as opposed to just maintaining their general wellbeing. There is no case law to date addressing the deductibility of hot tubs for professional athletes. Arguably, if an athlete suffers an injury or a physical condition for which use of the hot tub is prescribed as therapy, he can better substantiate that the expense is a conditioning expense that is common, accepted, helpful and appropriate in getting him back in the game. Alternatively, the cost of the hot tub could potentially be deducted as a medical expense under Section 213(a) if it is for the “diagnosis, cure, mitigation, treatment, or prevention of disease, or for the purpose of affecting any structure or function.” However, the athlete can take the deduction for his medical expenses only to the extent that the total amount exceeds 10% of his adjusted gross income. This 10% “floor” may significantly reduce or in most cases with professional athlete’s income level eliminate the deduction entirely. In the instance of a professional athlete who is paid to perform what some may consider to be violent acts that at times break the rules of the league for which they play and are thus punishable by fines imposed by the league, it could (and should) be noted that such fines are both ordinary and necessary in the performance of the player’s services and therefore are generally deductible. While IRC Section 162(a) allows a deduction ordinary and necessary trade or business expenses, IRC Section 262 expressly disallows a deduction for personal living expenses. The deductibility of certain items, whether it is the cost of haircuts or the cost of purchasing and maintaining equipment or clothing worn specifically for your profession and that of business suits worn off the field but required by the team, hinges on whether those items are deemed to be business or personal in nature. The deductibility of the cost of business suits worn at publicity events and elsewhere, in all likelihood, would be disallowed as a deduction by the IRS because the suit is adaptable to general use as ordinary clothing. Ultimately, taxpayers have the responsibility of filing accurate returns and they may fulfill this obligation by hiring someone who is qualified to do so. Tax return preparers owe a professional responsibility to their clients to prepare accurate returns base on all the information that the client makes available to them. Their failure to exercise the degree to care and to utilize the knowledge that a qualified professional would use to prepare the return constitutes malpractice, a cause of action for which they could potentially be held liable under state law. In addition to the expenses outlined above the article also reviews entertainment, travel, mileage, moving expenses. Business expenses that fail to be either “ordinary” or “necessary” or that is unsubstantiated have been routinely disallowed by the IRS. Thus professional athletes and their advisors need to understand what constitutes “ordinary” and “necessary” in the context of their particular sport, as well as the record keeping that needs to be maintained in order to substantiate the expenditure. Finally, as Kevin Durant’s case underscores, professional athletes, like other tax payers, are ultimately responsible for filing accurate returns with the IRS. It is absolutely critical that they enlist a qualified tax advisor who is willing and able to provide them with the appropriate advice. A copy of the original article which was published in the spring edition of the Marquette Sports Law Review can be found at their website. ALAN POGROSZEWSKI is an Associate Professor of Sports Studies at St. John Fisher College and the President of his own tax consulting business AFP Consulting LLC whose clientele include professional athletes performing services on three separate continents. Prior to accepting his position at St. John Fisher College, Mr. Pogroszewski was the Vice President of Business Operations for Sports Consulting Group, a firm that specializes in the representation of professional hockey players. Mr. Pogroszewski received his M.B.A. from Rochester Institute of Technology in 1996 and his M.S. in Taxation from St. John Fisher in 2003.